Hi Ladies! 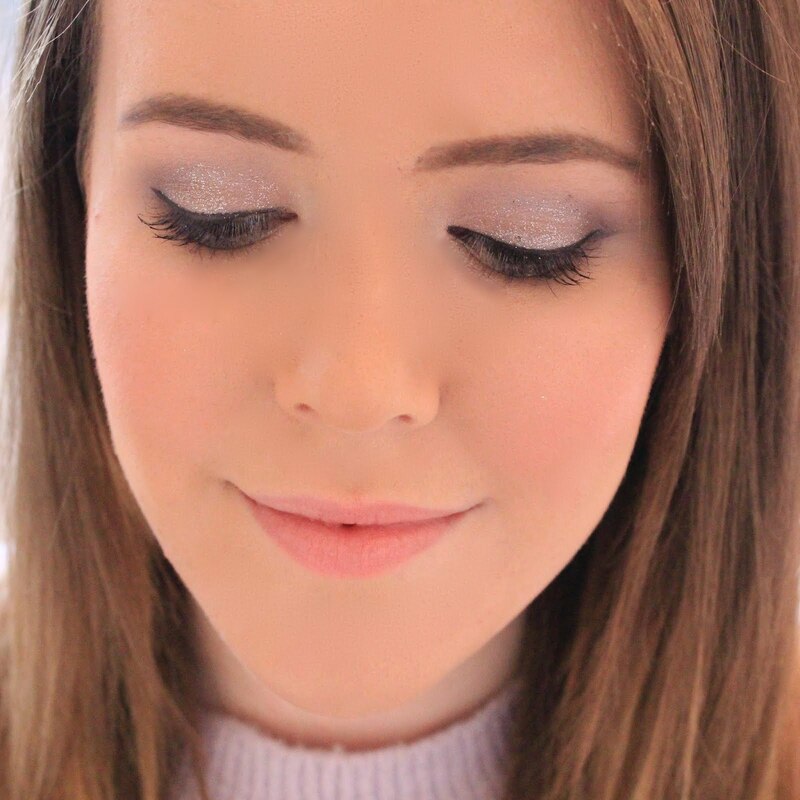 A while ago I posted a review of the Benefit Lolli-Tint with some FOTD pictures and in the comments a lot of you were asking me what foundation I was using, so I thought I would pop up a review of my new Bourjois foundation, as that was what I was wearing in the pictures. Recently I've been getting a lot of redness in my skin so I decided that I would try a colour correcting foundation to see if this would solve the problem, and as Bourjois had one at a reasonable price, it seemed like a good place to start. 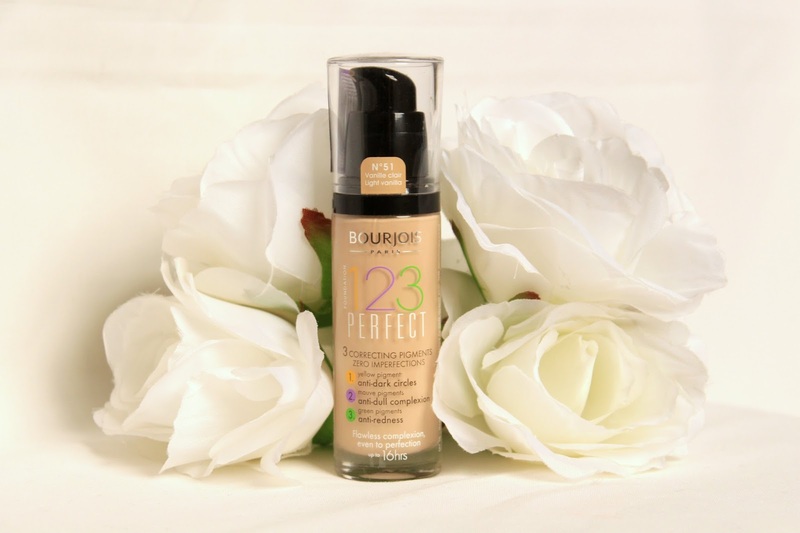 The 123 Perfect Foundation has 3 correcting pigments to give you a flawless, even complexion. It contains yellow pigments to counteract any dark circles you may have, green pigments to counteract and balance out any redness and also mauve pigments for anti dullness. I find that this foundation comes out quite yellow toned, which is perfect for me as I usually go for yellow toned foundations, but if you prefer pink toned foundations then this may not be the one for you. I find that the pigments in this foundation really do work wonders, my redness is reduces and my skin looks a lot brighter and healthier. Id say that this foundation has a medium coverage but you can definitely build this up to make it into a more full coverage foundation, much like the beloved healthy mix foundation. Finish-wise, this foundation has a natural satin finish, so it's not too dewy or too matte, it's smack bang in the middle. The wear time is fairly average, so if you have super oily skin you would definitely need a good setting powder but I find it does last slightly longer on my skin than the Healthy Mix. Overall, I love this foundation. 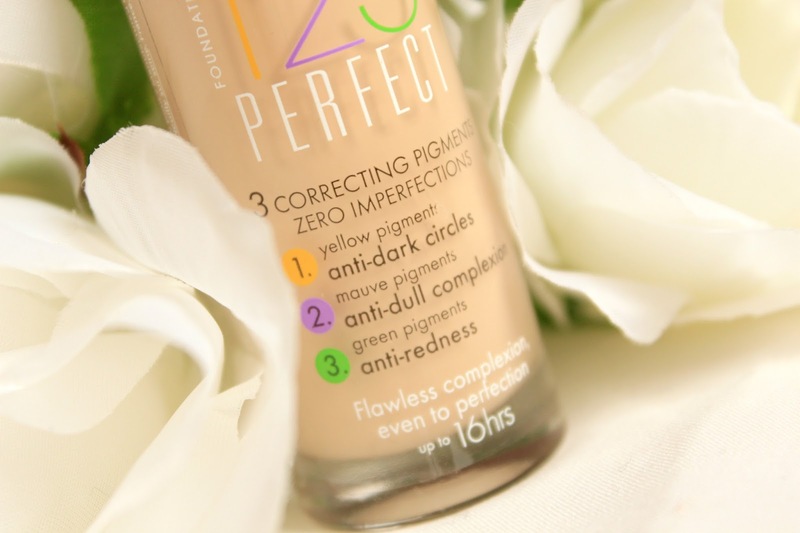 It does exactly what I need it to and the pigments make my skin look healthy again which is exactly what I was looking for from my foundation. This is a great every day foundation and definitely one I will be repurchasing - Bourjois have done it again. I'm really interested to try this, but having had a bad skin reaction to the Healthy Mix I'm wary about trying a new foundation! Your skin looks gorgeous! I really hope Bourjois comes to the States soon! The whole concept of the pigments is really interesting, I have a lot of redness in my skin as well and you've made this sound like the perfect thing for me! I've been looking for a yellow toned foundation, pinky tones bring out all my redness! Great review and I love the rose background. Your skin looks so flawless! This sounds lovely! I'm usually not too keen on Bourjois foundations as they never seem to last on my skin, but I know I'll be trying this out now. 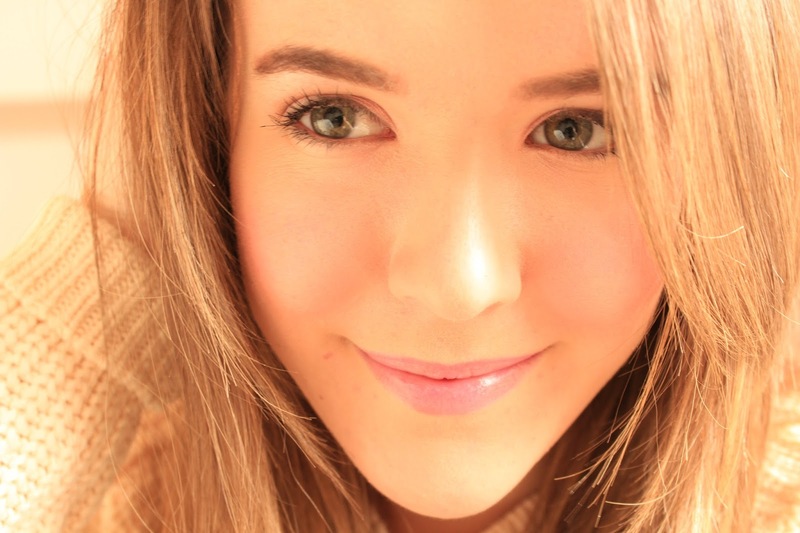 Have you tried the Happy Light foundation by Bourjois?